Body toxins are things we cannot really prevent; they build up in our body simply through the things that we do every day. We are exposed to toxins through sources like food (preservatives, pesticides, chemicals, food packaging materials etc. ), air (pollution from our different means of transportation, factories, gas flaring etc. ), medications, and water (fluoride and other chemicals). This means we are exposed to toxins every minutes of the day; this toxins can build up in our body and cause some form of harm to us. Toxins are just like poison to the body cells and organs, and it is therefore imperative to prevent them from building up in our body by getting rid of them effectively and regularly. A body that is free of toxins is a body with smooth metabolism and overall good health. All the above detoxification methods are effective for getting rid of body toxins; however, none is more effective than the third method above – Glutathione. 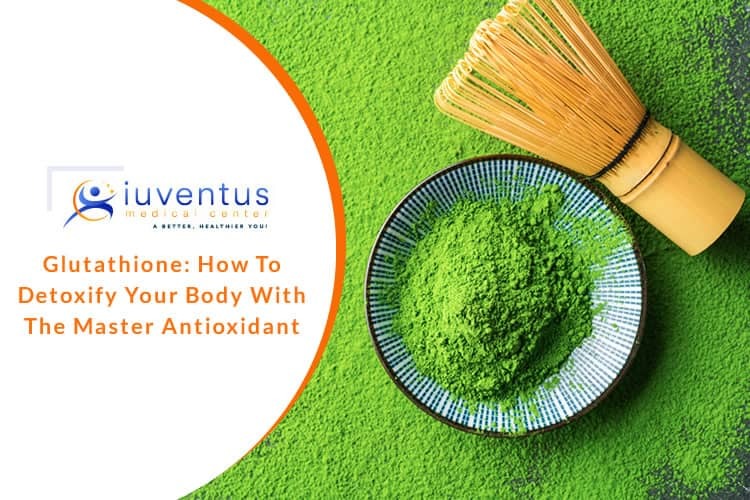 Glutathione – synthesized in the body from the amino acids L-glutamic acids, L-cysteine and glycine – is the master detoxifier and antioxidant of every cell in the body. Glutathione is produced by the body cell; however, due to environmental pollution, medications, trauma, UV radiation, stress, poor diet, and poor lifestyle, its level can reduce in the body, which then opens the door to toxins and the resulting health implications. So what can you do to boost the level of glutathione in your body? Eat foods high in sulphur and selenium and foods naturally rich in glutathione e.g. vegetables (broccoli, Brussels, and sprouts), garlic and onions, legumes, whey, flaxseed, nuts, lean protein such as fish and chicken, cottage cheese, brown rice, okra, asparagus, grapefruit, parsley, tomatoes, oranges, milk thistle, apples, spinach, avocados, and kale. glutathione supplements : Supplements are a good way of solving deficiency problems in the body as well as for boosting the level of substances necessary for optimum functioning of the cells and organs of the body. Glutathione supplements can be administered orally in tablet or liquid form; it can be administered intravenously, topically, intramuscularly and as an inhalant.